Sure I might be crazy but I dont think that that face looks almost 39 thank you very much, at least in comparison to most european americans and certainly not to EUROPEANS- sorry europa not trying to be mean you make for beautiful 20 somethings but after 27 you look OOOOLT!.... OOOOOOOLT! All that beer and wine and cigarettes and constricted DNA! 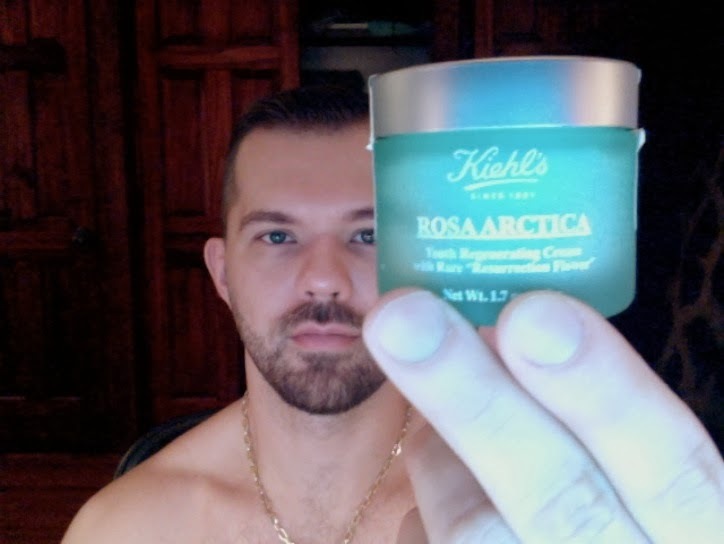 I have used Rosa Artica from Kiehls before and I thought my skin was just good because of the GH I was taking, but then I stopped both and was UGH my face is MELTING. So begrudgingly I bought some Rosa Artica, because I used to get it for free and its sorta expensive at like 55$ a canister, only to realize that IT DOES WORK. There are two versions, one is thicker than the other. I like the thicker one because you only need like HALF A PINKY NAIL of it and it covers your entire face and somehow makes it look and feel more TAUGHT and EVEN. On the bottle it says its made of RARE "RESURRECTION FLOWER" and is HAND HARVESTED AT FULL BLOOM. Which Im sure means very little and is pure marketing but I love that kind of WITCHY POO SCHTICK. I love SERUMS, PLASMAS, TINCTURES, POTIONS and I always have. As a kid I LOVED to try and make monsters come alive buy mixing the spices together from my mothers spice rack. Cream of tartar, whatever that was, would make things foam and come to life. Steroids are sort of the adult version of that. Theres no exact science to it because everyones body chemistry is different so youre just mixing stuff together to see the results. Sometimes I think monsters are real but theyre just not as obvious as they are in books or films but that many people actually are per say a werewolf, or a vampire, or a mummy or a zombie or a demon etc etc etc but in order for that creature to live it couldnt possibly be obviously different or it would be destroyed, so that fact that it is not obvious is the proof it DOES exist because so many kinds of behaviors are so specific and are just seen as "personalities" when in actuality what we know as "personality" can be changed dramatically with hormones, drugs, compulsive behaviors etc etc so were not some much in control of our feelings and thoughts as we think we are so why cant fantastical otherworldly genetics be a reason...WHY NOT?! Its more interesting then todays explination which is also just a theory. I think if Im any of those its the "mad doctor" or maybe a wizard. I just love experimenting and transformation and making "things". I think Im going to write a book about it, something like the "the monsters among us" and its also like a FIELD GUIDE and how to decipher which kind you are... I dunno something to that effect because people love to read about "themselves". Love your ideas of monsters being real. This has always for me been the true terror in horror. That is so often missed in horror culture, television, film and literature. To often they take the idea to literally. Clive Barker plays with this idea, that the real horror of monsters is that they are us. Not something outside ourselves but inside each of us, and that we are all capable of beautiful and horrific things. Nice photo. Brings out the color in your eyes. I'm european and about to turn 27. I did not need that. 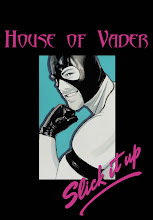 "You'll buy anything! That's just ice!"